Classes are starting up again this January 2014!! Fee: $145 for all 12 sessions or $12 pay as you go. You may also register in person during business hours (Wed- Sun 1-6 pm) with debit, cash or cheque or over the phone with your Visa or Master Card number. Come for the class and stay for the jam session, Mondays 9-10pm. PWYC, suggested $10; FREE TO ALL BEGINNER CLASS PARTICIPANTS! Julia Hambleton is a freelance clarinetist, songwriter, music teacher and ukulele enthusiast. 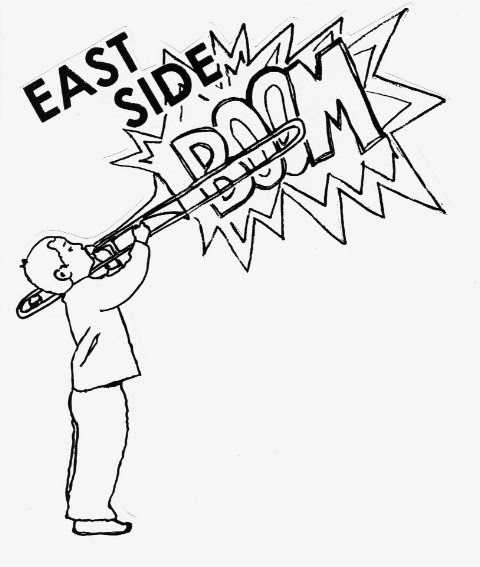 She holds a BMUS from McGill University and teaches music with Sistema Toronto and the Regent Park School of Music. She is active in the Toronto music scene where she performs with numerous Toronto musicians. In the past she has performed with Rheostatics, Runcible Spoon, Bob Wiseman, The Lollipop People, St. Dirt Elementary School, Ron Davis, John Millard, Christine Bougie, Broken Social Scene, The Bidiniband, Selina Martin and The Kate Rogers Band. She is currently a member of The Woodshed Orchestra and her own folk/pop band Sweet Pea. 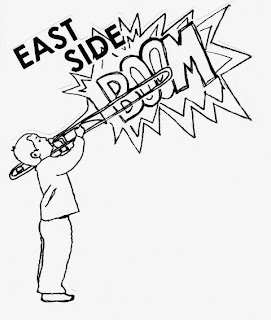 East Side Boom! Holiday Party Fundraiser for Philippines Relief! Raise your holiday spirits and a some much needed $$$ for disaster relief in the Philippines. Musical fun for the whole family, for a great cause- with a cash bar in the back room! Sunday December 15th, 3-5 pm Gerrard Art Space! All proceeds from the door will be donated to Doctors Without Borders work in the Philippines. YOU HELPED RAISE $195 FOR THE CAUSE!! THANKS TO ALL THE MUSICIANS AND ALL OF YOU WHO SHOWED UP!! Opening reception, Thursday December 5, 2013. GAS is pleased to present the following artists: Nicola Woods, Evan Kelemen, Ranita Dey, Greg Allan McGivern, Lorie Slater, Jyne Greenley, Jennifer Nikitin, Lisa North, Stephanie Maclean, Cyril J. Williams, Lou Doransky, Andrew Duff, Rachel Francis, Judith Meeks, Sheila Thompson, Nancy Johnston, Susan Green, Max MacDonald, Muhammad Zubair, Victoria Leprich, Tihama Eve, Tatjana Hutinec, Melissa Frew, Irena Dukule, Ross Winter, Noella Kyser, Raine Davis, Gord Smith, Liane Odze -Silver, Lee Luxemburger, Pamela Schuller, & Indra Dosangh.